Not long ago, purchase function was seen to be a desk job, monotonous paper work, dull and passive and more of an administrative function. The purchase managements were the fall guys whose only aim was to keep feeding shop floor and avoiding stock out situation. Today the situation has changed totally. Procurement function is considered to be a strategic initiative and seen to be adding value to entire business process. Profile of the procurement managers has changed and expectations from these managers are different. Modern day procurement managers manage procurement and sourcing function both at strategic and operational levels. They are proactively engaged in building supplier networks, estimating, controlling and reducing costs besides performing other functions and ensuring service levels. Their job functions are increasing becoming cross functional together with supply chain and manufacturing functions. Procurement process and paper work is today managed by the ERP systems which drive the procurement business process. Procurement function as explained above is one part of the sourcing function. In an ERP enabled environment, procurement function consists of detailed indenting process, procurement budget management, purchase order release, shipment schedule planning with seller coupled with ensuring compliance with documentation and system updating processes. All these processes are driven by ERP. Procurement function deals not only with procurement of raw materials and components, but also with capital equipments, project procurement, spare parts procurement for after market, managing rejections, defective returns, warranty replacement process with suppliers too. Vendor development is a key function in procurement. 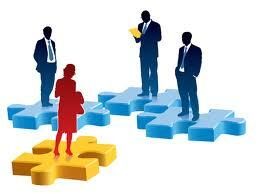 Sourcing and vendor development are some of the skill sets required to be developed by Procurement team. Procurement function works closely with procurement logistics or inbound supply chain. A procurement professional needs to have operational knowledge of logistical activities in supply chain network, the various agencies, knowledge of policies, customs rules, Taxation, commercial, logistical and customs documentation besides knowledge of commercial trade rules and terms. Though interlinked closely, both procurement process and sourcing strategy are not one and same. Sourcing strategy deals with planning, designing and building a reliable and competitive supplier base, determining the strategy for procurement, defining pricing strategies and supply chain requirements. The strategy involves integration of its objectives in line with or confirming to the objectives of stake holders in operations, finance. Marketing and distribution. Lastly sourcing strategy involves planning to competitive buying sources for its raw materials, components and services along with alternative variables. Procurement Process as described above, deals with operational zing business process of procurement function and ensuring performance. Having realized that suppliers play a key important role in the supply chain network of the business, there has been a change in the way organizations perceive and approach supplier relationships. Several factors have contributed to the shifting of the perceive value of supplier partnerships. Complex business models at global scales coupled with market demands have necessitated companies to set up manufacturing or assembly facilities closer to markets as well as in locations where conversion costs are relatively cheaper. This necessitates that the business be supported by a solid vendor base which is able to ensure supplies at all locations. Advancement in technology and R & D capability enhancement is leading to shorter product life cycles. New versions and product innovation means products become obsolete faster. Besides new introductions of products depend upon speedy development of new design supplier parts and the suppliers having to keep pace with changing designs and requirements. Lean Manufacturing and cost per unit concept is demanding that the managers keep looking to reduce the procurement cost as well as procurement logistics cost. By developing a relationship with suppliers in a collaborative mode, buyers are able to get supplier companies to hold inventories for them at buyer location and postpone taking inventory ownership up to the point of consumption. Today preferred suppliers follow the buyer into countries where buyer is setting up facilities and take on value added services including managing warehousing in the spirit of customer relationship management. Therefore managements have realized the fact that to be able to develop global business model, they have to develop supplier partnerships and work with collaboration spirit and invest in developing the supplier capabilities as well as invest into building the relationship. Supplier management is no longer transactional.